AS I STRUTTED my way to the Thomond turnstiles last January, Queen’s ‘Don’t Stop Me Now’ fittingly boomed from the heart of the fortress. 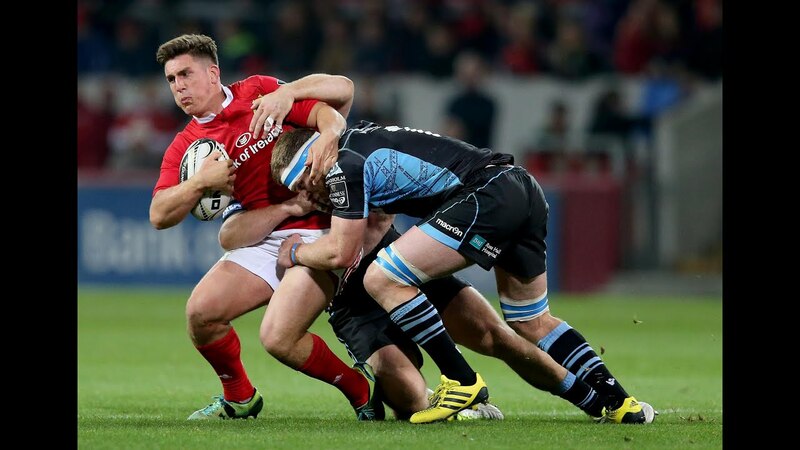 The men in red had been stopped just once in their previous ten games, were just off the back of two derby wins and ready to steamroll the visiting Racing 92 for the second time in as many weeks. A supreme confidence and swagger was radiated from the field to the supporters and it reflected from the moment Peter O’Mahony stepped onto the field to a volcanic cocktail of erupting terraces and an explosion of fireworks, all the way ’til the very final whistle. It ended with another win, which came as no surprise as Munster continued to prosper in a bubble of invincibility. That period of success ultimately defined the 2016/2017 campaign, but with a new season now on the horizon, can we continue to burn through the sky? The new season is a whole new challenge. Any momentum that Munster had has been diluted by the January departure date of Rassie Erasmus and side-man Jacques Nienaber and so the team must adapt. Some morning next season the team will wake up and in a flash a new couple of coaches will be out on the training paddock with more than a couple of different ideas than their predecessors. For that reason, the lads can ill afford to place all their eggs in the Rassie and Jaq basket but instead must take a significant share of responsibility for their own team and their own performance until Christmas. Coaches will come and go but the team will go on. Many will think making the transition mid-way through the season will be the trickiest part of the situation, but working for coaches that won’t be hanging around for more than a few months and working for coaches who would rather be somewhere else must be identified as the toughest challenge of all. Yes, the new men will be under pressure to get off on the right foot, but on a wider scale it’s the following year that really counts for them. After much talk and debate, the Pro14 was announced last month with Munster drawn in a competitive but winnable conference. While we must anticipate a dip in motivation this season, this Munster team has enough quality alone to, in my opinion, secure a top two finish in Conference A – on paper, Ospreys, Cardiff and Connacht should be wins if the lads put in an 8/10 performance. Glasgow however, could be the ones to watch with ambitious Chiefs head coach Dave Rennie taking the reigns at Scotstoun and taking some quality additions with him including Huw Jones, Oli Kebble and Samuela Vunisa. The players are good enough to make the knockouts, how well they do in them however, is down to how quickly they can adapt to the new coach’s ideas. And one who would think the Champions Cup will be very similar. Leicester and Racing are two sides that we have seen Munster crack in the past, while Castres should offer little challenge. It just so happens that as the competition is set to heat up in the knock-outs, Munster’s chances are likely to cool down as they find themselves in transition. Nobody enjoys hearing that ‘transition’ word, but next season it will be more applicable than ever.